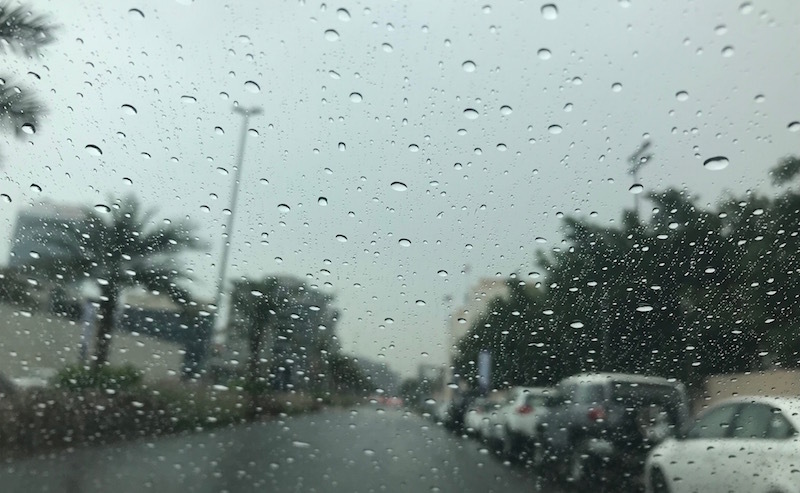 Rainfall is expected across parts of the UAE on Tuesday, with dusty weather conditions also forecast to cause poor visibility. The weather is predicted to be be cloudy, with rainfall of different intensities over scattered areas associated with thunder activity at times, especially northward and eastward, the National Center for Meteorology (NCM) said in its daily weather bulletin. The amount of clouds will decrease gradually by the afternoon. Fresh to strong northwesterly winds, especially over the sea, will cause blowing dust and sand over the exposed areas, the report added. Wind speeds are predicted to reach up to 55km/h in the coastal and mountainous regions on Tuesday. Authorities have urged motorists to be careful on the roads. Motorists are being urged to drive carefully due to decreased visibility caused by southerly winds blowing dust on Dubai – Al Ain rd and light rain on Marrakech St. The NCM also forecast a “significant decrease in temperatures” in the country. Temperatures will vary between 17 degrees celsius to 30 degrees in the coastal area, between 14 degrees and 30 degrees in the internal areas and touch lows of 6 degrees in the mountains, with highs reaching 19 degrees. “The Red Sea trough extends towards the country and the Arabian Peninsula, accompanied with a trough of low pressure at upper air levels,” the NCM said. It also warned that the sea will be rough at times in the Arabian Gulf and the Oman Sea. The weather on Wednesday will be partly cloudy, with a rise in humidity, which is expected to cause fog or mist formation. Temperatures are predicted to rise on Thursday and Friday.